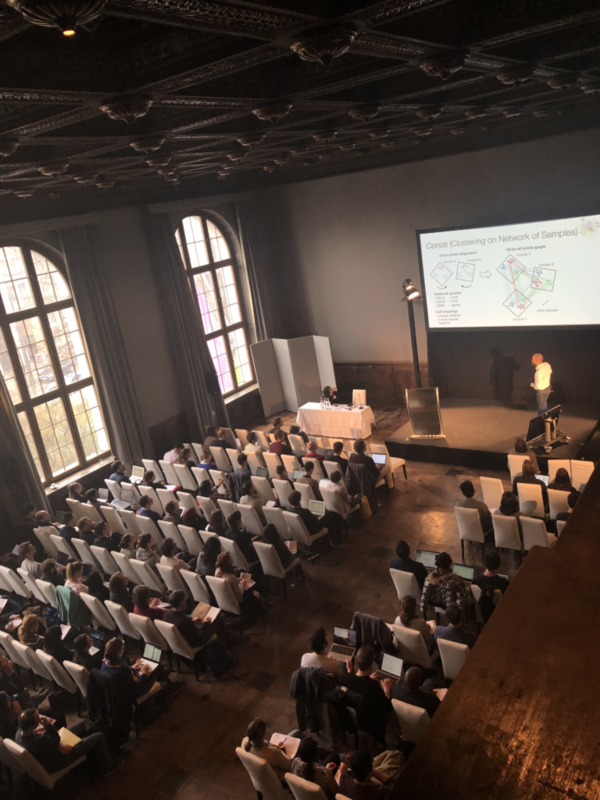 On march 26/27 a workshop on ‚Computational single cell genomics‘ sponsored by SCOG (single cell omics germany, www.singlecell.de, funded by BMBF) and chaired by Fabian Theis took place at Lenbach Palais in Munich. In 4 sessions with presentations by international guests and SCOG partners and 2 poster sessions, single cell researchers discussed the advances in computational single cell genomics. The topics covered developmental biology, disease modeling as well as technological and computational advances in single cell genomics. Sponsored by the Chan Zuckerberg Initiative parts of the meeting will be available online soon.